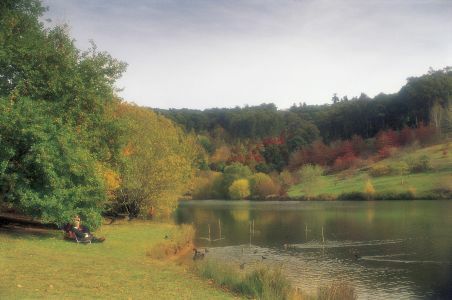 The Mount Lofty Botanic Garden overlooking the Piccadilly Valley features displays of cool temperate plants, which thrive on the eastern slopes of Mount Lofty. The collections in the garden come from various geographic regions such as South America, China, East Africa, New Zealand, South East Asia and North America. Spring and autumn are both magnificent seasons to visit, with stunning mass displays of magnolias, rhododendrons, camellias and roses adding a splash of colour to the gardens. The sweet scented ATCO Heritage Rose Garden, featuring both modern and old-fashioned roses is particularly popular. Several picturesque walking trails take you up and down the gardens seven valleys, including the Fern Gully - home to one of the richest collections of ferns in Australia. The Bank SA Nature Trail is wonderful at all times of the year allowing visitors to experience the diversity of original plants in the Garden. A picnic lunch by the lakeside after an invigorating walk is just the thing for an enjoyable outing with family and friends. Free guided tours depart from the lower car park at the end of Lampert Rd. 10.30am every Thursday of the year ! Some paths are steep and narrow so good walking shoes are essential. During daylight savings the Garden closes at 6pm on weekends. Mount Lofty Botanic Garden will be closed due to fire danger on days when the predicted fire danger rating is severe, extreme or catastrophic.